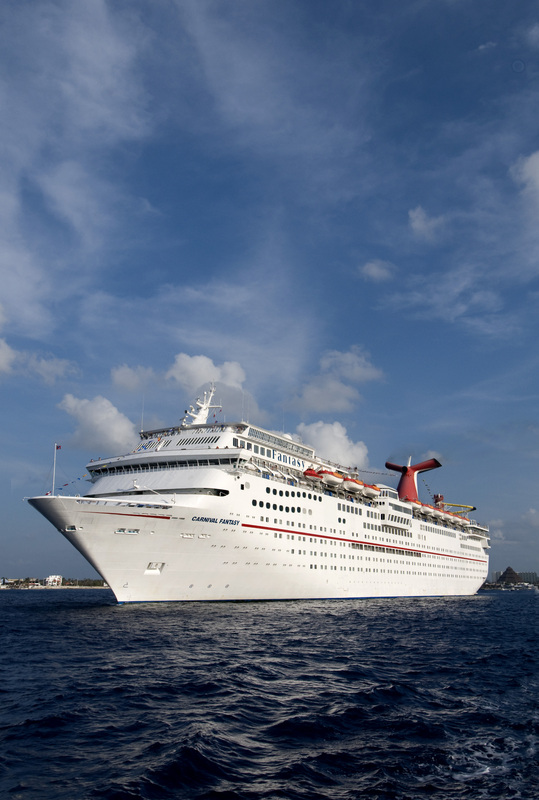 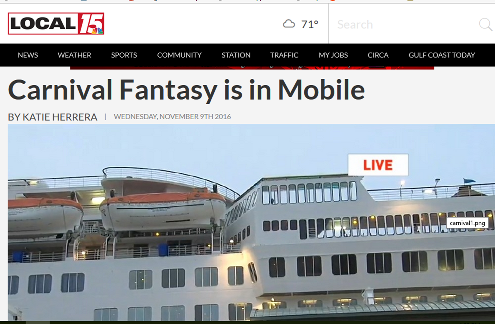 Mouton Media Public Relations helped the Carnival Cruise Line PR team celebrate the arrival of The Fantasy to the Port of Mobile in November 2016. 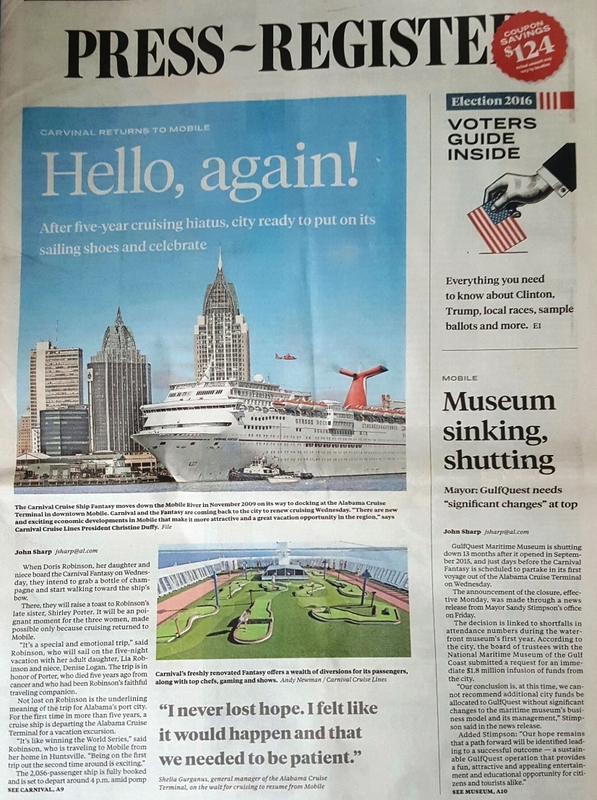 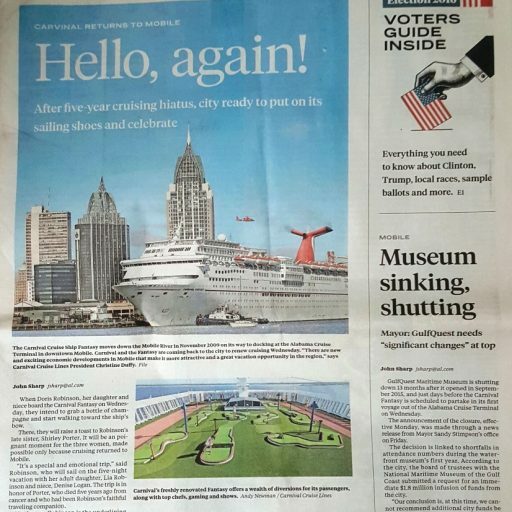 Al.com called the return of a cruise ship to Mobile “like winning the World Series” and the inaugural cruise attracted media from around the Gulf Coast. 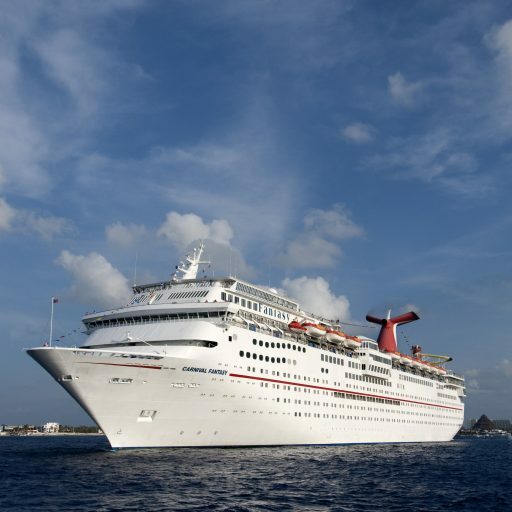 Mary Mouton helped coordinate print and radio media as well as early morning live shots.